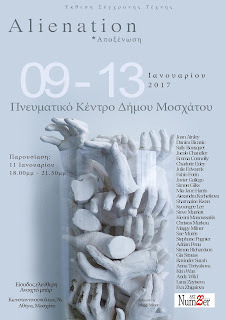 Once more, Alienation Exhibition, curated by art collective ArtNumber23, after Philadelphia, New York and Moscow, is moving to Athens. 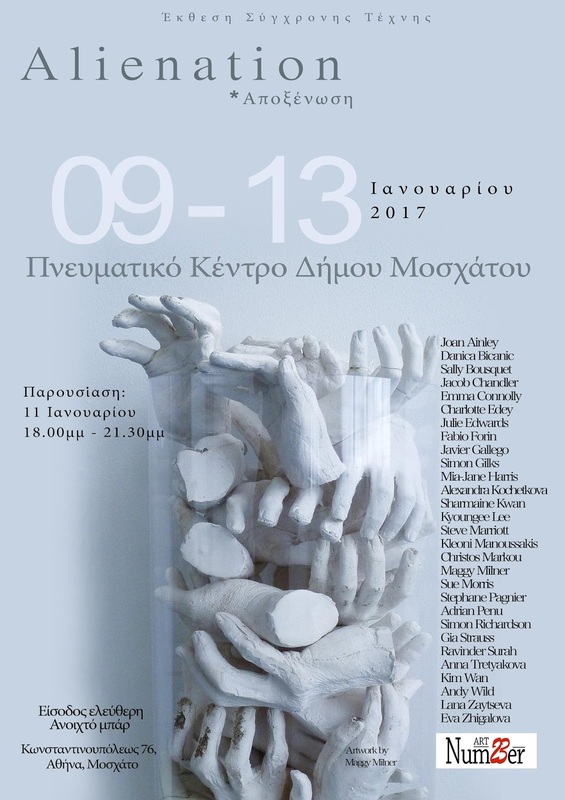 Works will be exhibited in two venues in Athens; one in 'Room 7' in an area called Taurus, and the other one at the Cultural Center of Moschato. First Exhibition will be held from 2nd untill 6th and second will be from 9th untill 13th of January 2017.